It’s easy to spout off the usual “fitness lines” when it comes to your business. You believe in functional training for performance using alternative implements. You believe in a solid nutrition plan that focuses on healthy, sustainable results. You believe in proper assessment to judge progress, etc, etc. But that’s only part of the game. Unless you have a complete answer that brings all facets of your fitness strategy into place, you’re only doing a fraction of your job. Worse, you may not be giving consistent answers, a sure way to screw up your brand image. Writing a book is a good way to officially state your stance on fitness, and give you guidelines for answering any and all questions your existing and future clients/customers may have. Nothing says, “I know what I’m talking about” like a book cover with your name on it. While the internet is the go-to resource for anything you need to know, books (or ebooks) are much more solid, complete pieces of information. On top of that, they are just as good as any college degree or certification (sad, I know) at legitimizing your offering in the eyes of your customers. Like a college degree, a book says, “I have taken the time and effort necessary to do something that others have not.” It’s even better than that, though; your book can provide solutions that people will remember. Later on, they will look to you as the “expert” that showed them the way. 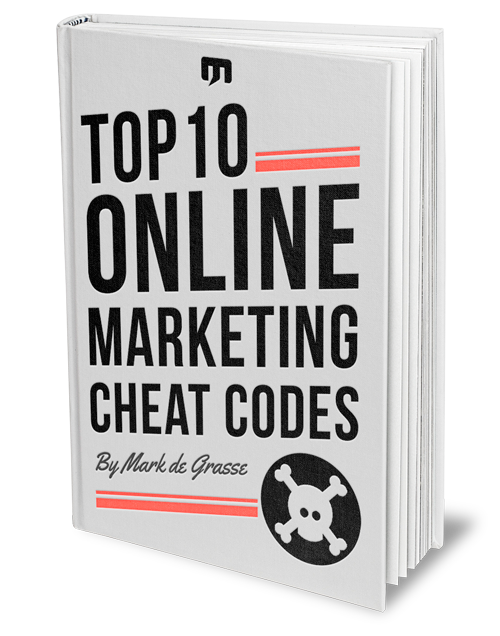 Having a book is one of the easiest and quickest ways to start making money online. While it does take some time and effort, once it’s done, it’s done. You can set it up on your online store and start selling without the need for shipping or customer service (assuming it’s an electronic product and you have a capable fitness website). Even if you don’t plan on selling your book, it can still LEAD to money, because people may find you through your book and later purchase other products or services. You can also use it as an up sell (for example, sign up for our 4-week boot camp and get a free fitness ebook). If nothing else, your fitness book is an excellent way to generate leads. No one gives their email address away for nothing. The fact that they’re willing to give it to download your book means that, 1) they’re interested in the fitness information you have to provide, 2) they trust you enough to give their information and find out more about you. Very few people realize just how valuable email and content marketing is in relation to online business. I’m going to let you in on a little secret… IT’S REALLY FREAKING IMPORTANT. You need to constantly be generating content and collecting new leads in the form of emails to sustain and grow your business! The best way to do this is to write a book. Content marketing is the cheapest way to establish yourself as a professional online resource. It generates traffic and business without the investment that pay per click (PPC) or social media promotions require. Better yet, the more you do it, the more traffic it provides! When you write a book you’ll realize that you have a lot more information to share than you thought. Beyond that, you’ll realize that you can’t FIT IT ALL IN A SINGLE BOOK! That’s what I realized with my first books. After outlining the book and working to beat my deadlines, I had a pile of information that I couldn’t include. This extra information has helped me generated hundreds of pages of content and given me more than enough material to write additional books. Get to Work on Your Fitness Book! I’ll cover possible topics for your first book in a future article, but if you want to get started today, it’s easy. Just make a list of the most commonly asked questions you get from customers, and answer them! This list will give you plenty of ideas about how you provide a unique service, and how your personal fitness methodologies can help the most people. After you have the material, and it doesn’t have to be a lot of material (I’ve worked with as little as 1,500 words), contact me and I’ll help you turn it into a solid product with my eBook Creation Service. Good luck! Click on the pictures below to download a series of fitness books I’ve either created myself or helped other fitness professionals create (they’re all free).